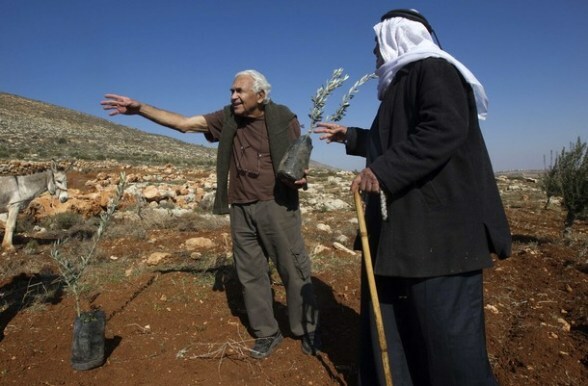 Notwithstanding massive uprooting to enable settlement expansion and the concomitant building of infrastructure through the Israeli government, the olive tree is still one of the most prominent features in the landscapes of Palestine. To some, the olive tree may seem like an ordinary tree, maybe not even a particularly beautiful one, yet to the people of this land, be they Muslim, Christian or Jewish, this humble tree is of great significance. The manifold meanings accorded to the tree, its fruits and the oil it produces changed a lot throughout Palestine's turbulent history. Within the context of this conflict ridden land, it is almost cynical that one of the most renowned meanings of the olive tree, or rather of the olive branch, is that of peace, a notion that goes back to the Book of Genesis where it is told that a dove returned to Noah's ark, carrying an olive branch in its beak, which assured Noah that the water had receded from the earth (Gen.8:11). Since that time, the olive branch is seen as a symbol of salvation, of hope and of peace and the expression of "extending an olive branch" to declare a person's desire for peace, has become common usage in many languages. 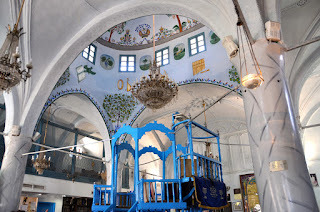 Due to the ubiquity of olive trees in the ancient land of Israel, which is also mentioned numerous times in the Old Testament, olive oil, together with grain and wine, came to be regarded as one of the three blessings of the land (Deut.11:14) and was used in a lot of ritual practices, including in daily sacrifices, as fuel for lamps, as well as in ceremonies to anoint those favoured by God, such as kings. The Old and the New Testament also refer to olive oil as a spiritual medicine, used both internally and externally, to heal, to cleanse and to anoint the sick. 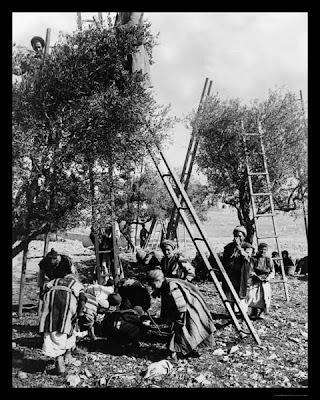 In more recent history, the olive tree still became a symbol of prosperity to many people in the region, and Palestine's most prolific products were and continue to be made from the tree's wood and fruits, including soap, lamp fuel, food, and of course, the precious and delicious oil itself. 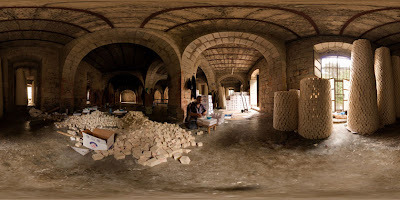 The earliest documentation of mass olive soap production dates back to the 10th century when the first factories were established in the city of Nablus. By the 14th century, Nabulsi olive soap was already famous and very much sought after all over the Middle East and beyond and was reportedly even prized by Queen Elizabeth I of England. During the 20th century, olive soap production declined, both as a consequence of natural desastres, but also of the continued Israeli occupation. After the Second Intifada, during which the city of Nablus became one of the main targets for invasions and attacks through the Israeli army, only two out of thirty soap factories had survived. Similarly, the manufacturing and export of other products extracted from the olive tree and its fruit experienced a sharp decline. 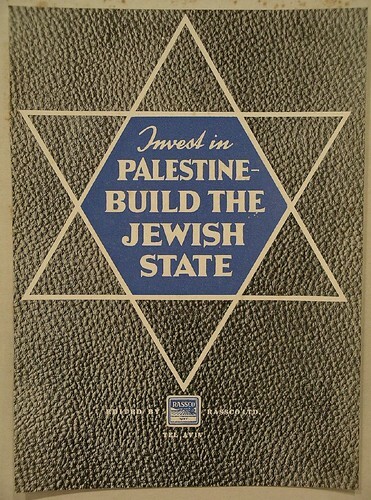 Since 1967, with Israel occupying the West Bank and Gaza, hundreds of thousands of dunams of land were seized by the Israeli authorities and countless olive trees were uprooted in order to make room for the establishment of settlements, the building of settlement infrastructure, military bases and the Separation Wall. However, still today, up to 100,000 Palestinian families depend to some extent upon the trees for their livelihoods. The olive harvest, once one of the most joyful seasons of the year, which would bring together whole families of all backgrounds to work their land, has turned into a troublesome event full of problems. Every year hundreds of trees are being uprooted, torched, or vandalised by extremist settlers, who also frequently intervene in the harvest activities by verbally and physically assaulting farmers, their families and the international and Israeli activists who come to support them. Although obligated to ensure public order and life in the occupied territories, the Israeli military does little to protect the property, or to ensure the safety of Palestinian farmers. In addition to that, the army also continues to ignore both international, as well as Israeli law and imposes tight restrictions on the farmers' access to those lands that are located in the vicinities of settlements or behind the Separation Wall. Harvesting olives, but also attending to the trees throughout the rest of the year has thus become a form of resistance for many Palestinians and a way to hold on to the land of their ancestors. Today more than ever, the olive tree represents Palestinian rootedness in the land, as well as the people's strength and steadfastness. Just like the olive tree itself, which, even if cut down, is able to produce new shoots which spring up from its roots, farmers remain resilient and continue to stick to the old Palestinian proverb "They planted so we ate and we plant so they eat".